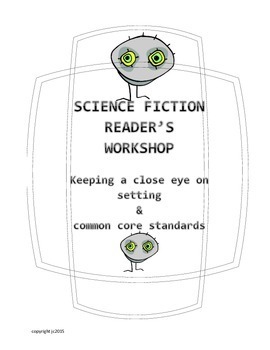 This 86 page 23 lesson unit will take your 5th, 6th or 7th graders on an exploration of science fiction through the lens of the common core. This unit emphasizes the development of using text evidence, understanding theme and analyzing how the setting affects a story. 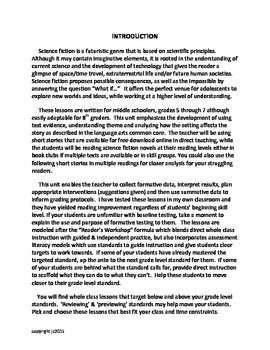 The teacher will be using short stories that are available for free download online in direct teaching, while the students will be reading science fiction novels in book clubs. 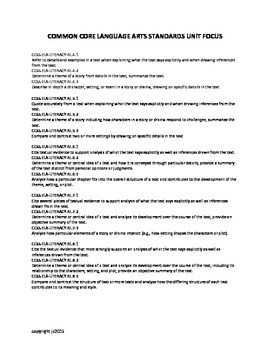 Multiple copies of novels are not needed to implement this unit. The lessons are modeled after the “Reader’s Workshop” formula which blends direct whole class instruction with guided & independent practice. It also incorporates assessment literacy models which use standards to guide instruction and to give students clear targets to work towards. 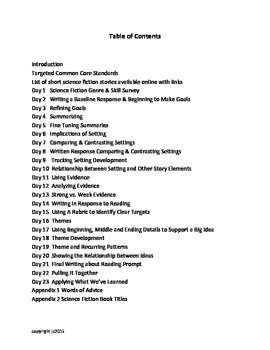 Lessons, additional worksheets, answer keys, handouts & rubrics are all included.